Fuquay-Varina is a small but growing town in the southern part of Wake County, about 17 miles southwest of Raleigh. The town’s hyphenated name comes from the merging of two towns, Fuquay Springs and Varina in 1963. Find your Fuquay-Varina home, checkout Fuquay-Varina Neighborhoods. For information on schools in Fuquay-Varina check out GreatSchools.org. To search by a specific school in Fuquay Varina click HERE. What was once Fuquay Springs is what lies on South Main Street, Spring Avenue and South Fuquay Avenue, while the area formerly known as Varina is focused north of there, around the intersection of Broad and Stewart streets. A simple three-minute drive or approximately 15-minute walk will get shoppers between both areas and in the midst of the full experience. Several coffee houses provide space for breaks, breakfasts and light fare, while restaurants, bakeries and bar and grills dish out meals. History lovers will be thrilled at the amount of fascinating venues around the area including a gorgeous bed and breakfast where they can stay during a visit. Fuquay Mineral Springs Park is the site of the spring that originally put Fuquay Springs on the map and is accessible nearby. The Stars Theater and Arts Center is located on E Vance Ave, it concentrates on local and youth productions. Fuquay Varina has many parks including Fuquay Mineral Springs Park and the Carroll Howard Johnson Environmental Education Park with walking trails and an amphitheater. Fuquay-Varina Median House Price and Days on Market. Finding a home in the Triangle area can be a daunting proposition! 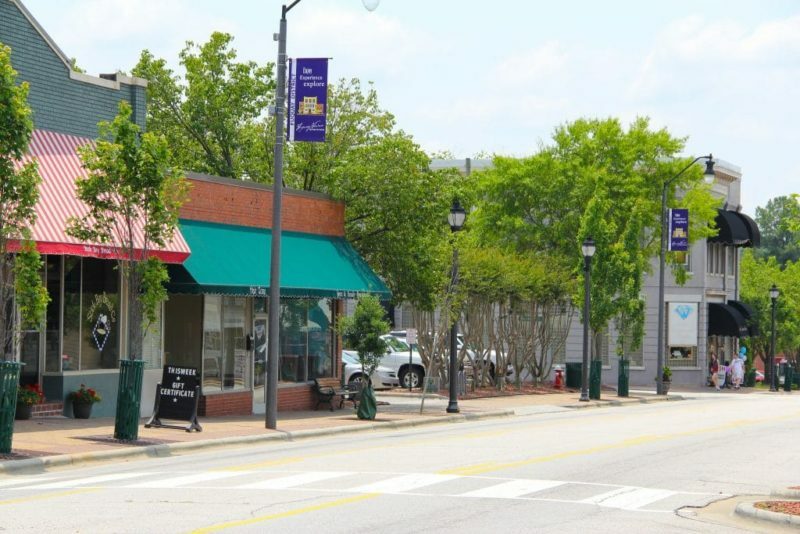 What are the benefits of Cary over Durham? How long is it going to take me to get from Holly Springs to RTP? What will I pay for a 3 bed, 2 1/2 bath home in Morrisville? Where do I find waterfront homes in the area? These are the type of questions we are asked on a regular basis. For honest, straight forward answers to these and other questions about Triangle Real Estate and the greater Triangle area in general please do not hesitate to contact Kevin, 919 349 0096, <a href=”mailto:lingark@hpw.com”>lingark@hpw.com</a>. The Triangle area is consistently winning accolades.